Saturday, February 25th, 2017 at 11am, Celery Fields lovers, bird watchers, members of Neighborhood Associations, local residents, and nature enthusiasts will gather at Apex Road & Palmer Boulevard to protest the approval of Rezone Petition 16-33, the “Restaurant Depot” project. 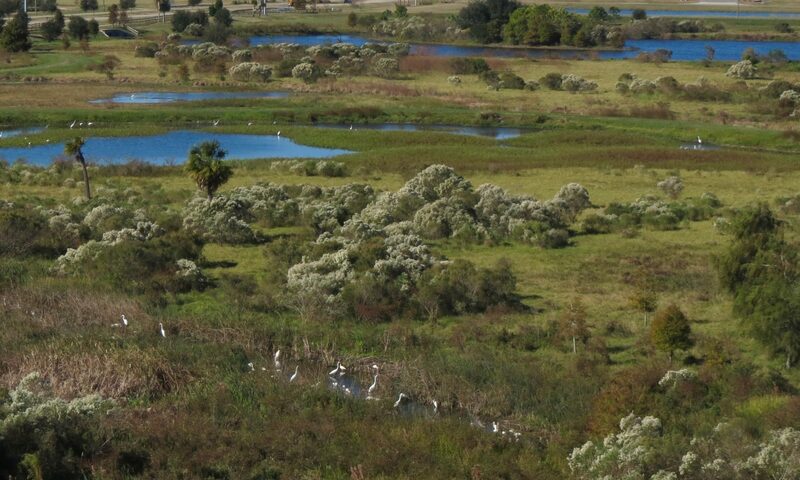 Bring signs, some sunscreen, and your love of the Celery Fields and help us protest! Next Wednesday, the Sarasota County Commission will hold a Public Hearing to consider this Rezone Petition, which has already been approved by the Planning Commission. If approved, this petition would allow developers to proceed with the construction of a 60,000 square-foot wholesale restaurant supply store which will clog the already-overburdened roads near the Celery Fields with hundreds of vehicles per day¹. Since the proposed Restaurant Depot is on County-owned land that was originally part of the Celery Fields, it is all the more egregious that Sarasota County would sell this land to developers with plans like these. But even more alarming, other plans being proposed on nearby parcels threaten the Celery Fields with 35-foot high piles of debris from construction & demolition as well as yard waste, 25-80 loads per day coming via large trucks, the noise of concrete crushers and wood chippers, and water runoff containing unknown quantities of harmful chemicals from washing down demolition debris to control dust. If Sarasota’s County Commissioners approve the “Restaurant Depot” project, then threats like the dump being proposed across the street seem even more likely. ¹In their rezoning petition, the developers of the “Restaurant Depot” project estimate the number of hourly “trips” generated by their business to be nearly 100 at peak times (between 4pm and 6pm on weekdays). You can view their original rezone petition and additional information about it on our wiki: Restaurant Depot Rezone Petition 16-33. Please consider the wishes of the thousands of residents living east of I75 along the Palmer corridor, as well as the locals and tourists that utilize the Celery Fields for recreation and fitness, who are opposed to the request for businesses so ill-suited for the area in question and which can be located in a much more appropriate area. Please consider making that land a park-like setting that can serve as a “Gateway to Sarasota East”. Previous PostPrevious Will Your Business Be Affected by Celery Fields Development?